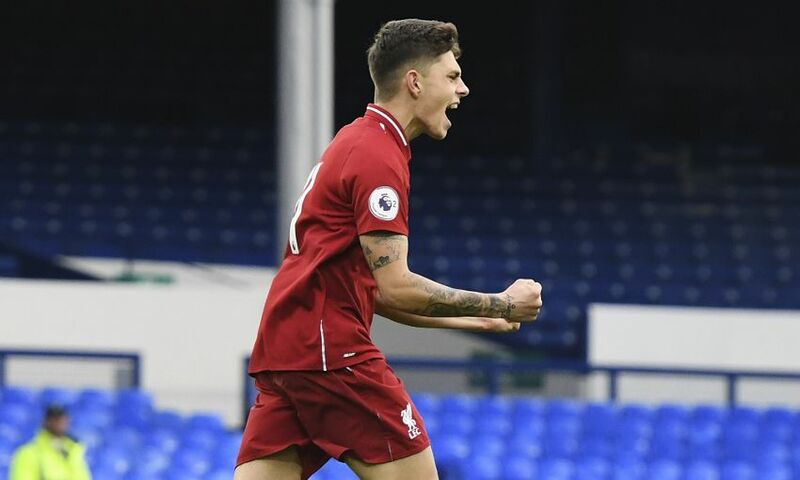 Adam Lewis did not care whose name was on the scoresheet after playing a key role in Liverpool U23s' mini-derby win against Everton at the weekend. It was the 19-year-old Scouser's shot that took a deflection off Rafael Camacho and deceived Blues stopper Joao Virginia for the only goal at Goodison Park. Neil Critchley's side fully merited the victory in Premier League 2 and the performance came as an immediate response to their heavy defeat by Villarreal. Unbelievable. We were without a few players but the boys dug deep for the full 90 minutes. It's always good beating Everton, especially at Goodison Park, and it's a massive three points for us to move up in the league. We had a little disagreement in the changing room after the game but give him his due, it was Rafa's goal. The most important thing was the three points, which is what we got. Ki-Jana has been excellent and I've been very impressed with him, especially as a young lad coming to a different country, it's not easy, and also coming into games like this against tough opposition. You've got to give him his due, he dug in for the whole 90 minutes and we were really happy with him. We will prepare now for this game, we are looking forward to it and hopefully we can get through to the knockout stages.